You are here: Virgin Islands News Online » News » Archie, Smith & Ronnie Out! Grant, Moses & Underhill In! as NDP At Large! Archie, Smith & Ronnie Out! Grant, Moses & Underhill In! as NDP At Large! 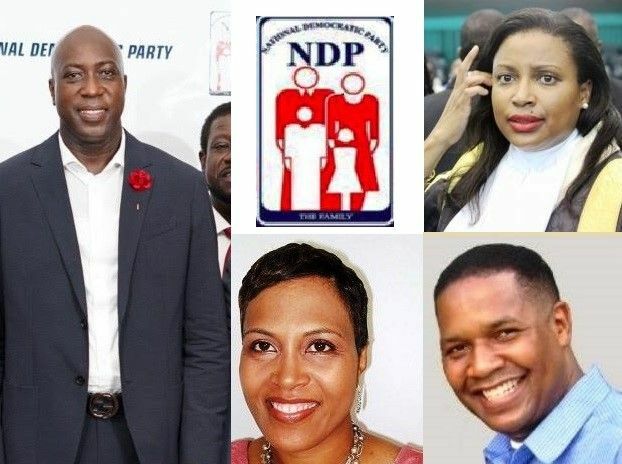 ROAD TOWN, Tortola, VI - The Executive Committee of the ruling National Democratic Party (NDP) has voted on its At-Large slate for the upcoming General Elections. According to senior NDP sources, the three new Candidates voted on last night, September 10, 2018—to contest the election due by June 2019—are Ms Ingrid A. Moses-Scatliffe, Ms Sandy M. Underhill and Mr Trefor A. Grant. Ms Moses-Scatliffe is the current Speaker of the House of Assembly, and Ms Underhill is the Principal of the Elmore Stoutt High School (ESHS). Mr Grant who has a consultancy with the BVI Tourism Board is also the Chairman of the Virgin Islands Festival and Fairs Committee. The final At Large candidate for the NDP is Chairman and Co-Leader of Government, Honourable Myron V. Walwyn. It means that the current NDP elected At Large Members have either been sidelined, not running or will be part of a new party. The sitting NDP At Large members are Premier Dr the Honourable D. Orlando Smith, who lost his seat as the NDP Chairman, but will not run again and Honourable Archibald C. Christian, the Junior Minister for Tourism. These in addition to NDP co founder, Honourable Ronnie W. Skelton, the Minister for Health and Social Development. 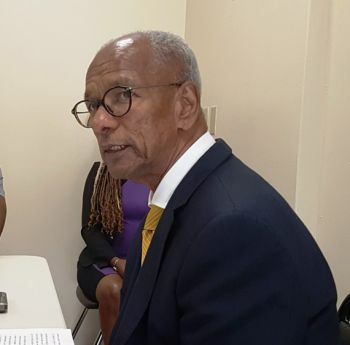 Virgin Islands News Online was told the NDP Congress will still have to confirm the three candidates, and that there is a move afoot by Hon Walwyn, to fill the District Candidates slate including the Seventh District. The Opposition Virgin Islands Party (VIP) is expected to vote on its four At Large candidates by the end of September 2018, according to a senior party official. @WOWW, no baby, NDP just got stronger. Myron need to go back to the drawboard!!! These Back benchers are fools blind mice. They miss their opportunity and kill their own Political future..They were to cross the floor as a protest get a voice have a say, put country first but they stay though they in quick sand.. Ronnie should have cross with them become Fahie deputy and finance minister. Archie, Mitch and Marlon would have gotten the opportunity to be ministers.. Bertie and Alvera would have gotten the opportunity to be Junior Ministers. Now they all will become notching. How can one be loyal to people that shutting you out. Hiding and lying to you... Fools!!!! And this too shall pass!! Heard guy hill on vip at large considerations. You think VIP could win without Willock? @Road Town Rebel.... Stop spreading false news and keep my brother's name out your dam mouth. These people are about themselves. Not country, not my vote. Tell madam principal that you cannot run a school with political interest. She will never be a Stoutie! The speaker of the house should recuse herself from running for public with The ndp. The optics and the narratives doesn't seem right. Am sure there is somewhere in the constitution that adress this. Just like how mitsy Simpson can't register as a candidate because she does not born here. When you see him, ask him, only he can answer that question. @right, who the F**K are you!!! to say what she should or should not do. I am quite sure she knows what the Constitution states. What you need to do BUDDY, is please stay in your passenger only lane and leave the driving to the professionals. Good People individually. Hard for me to see these big personalities, Huge Egoes and strong headed educated people working together.. I see a unity government.. A few NDPs, a few VIPs and a few of other Ps...Maybe that's what we need.. Check The leader,s pick. Which one has at least one BVI parent? That alone tells how this man thinks. @Hmmm, for real. They don't want the responsibility because they are to damn lazy always up in someone's business and always have the Soooo, I was born ya so I should be entitled. They don't want Myron to be Premier because he is not going to fall for that entitled S**t.
Now let's see you go back to your own country and say that! I see you’re all up in our business. Show that you're not lazy and geta stepping back home, then run to the blogs! Well he said aint nothing they could to for Bvilanders. Hint hint. That is why you would get left behind. We live in an evolving era. The country new culture would move on with or without you. Your ideologies are getting outdated .Look at the new demographics of the bvi. You stay there with your foot soldier mentality. Don't protect locals and see what happens. Demographic Myou nalgas. Welcome to the beginning of a new BVI that is diverse and open for everyone else besides BVIslanders. I was always curious about why non-belongers from larger countries saw it fit to grab up what little rights and privileges belongers had. Everything is for a time. Sure, most of us will complain now, but this is exactly what we want and will vote for. The reign of Walwyn for the win! Speak for yourself...I WILL NEVE VOTE FOR WALWYN! He is going to destroy this country. If y’all didn’t know Henry Creque running for 4th district with the NDP. To Puck and persons like him please get a life all of those folks are born here in this country. In the June 2015 general election, the Smith-led NDP rode the crest of the election wave and crushed the Fraser-led Opposition 11-2. The people give it a mandate to chart a new and stable course for the BVI. However, now, in 2018, it has the hit doldrums and is bottom dragging the trough with only 4 of the 11 member team thus far has committed to run on the NDP ticket. What cause the NDP to fall so far so quickly? Were its financial management, poor planning, pre and post hurricane disaster management/performance, poor leadership, poor project management, infighting, electorate lack of confidence in government performance .........etc contributing factors to NDP collapse? Clearly, it appears that none of the current other three at large members will not be on the NDP ticket. Are they retiring from active politics or they running independent or aligning with another party or forming new party? Further, are the D7, D2 and D5 reps running with NDP or going the way of their 3 at large colleagues? Is the demise of the NDP premature? If the demise is real, what a sad ending; it is painful to watch the disintegration. I will wait until all the cards are dealt b4 assessing the prospect of any candidate or party. I am soooooooo loving this. I know two of the three. Trefor Grant - known to manufacture the truth. Ingrid Moses - Known to be BIAS in the execution of her duties in the House of Assembly. Sandy Underhill- Don't know her but did a credible job at the High School. Was that comment necessary? I know you are concerned about the NDP but degrading someone character is not the way to go. Don't be petty rise up! My six at large to pick 4 from.. 1/ De Castro, 2/ Dawson.. 3/ Guy Hill. 4,/ Sownde Wheatley, 5/ Willock, 6, Get someone from VG.. Take Sowande from 7..He has no chance in the 7. .I wonder if Sonel Pickering is with Fahie or Ronnie that's a very good prospect..
You gotta be crazy them DOA! Good team, all NDP supporters our next move is to make sure NDP is elected into office. 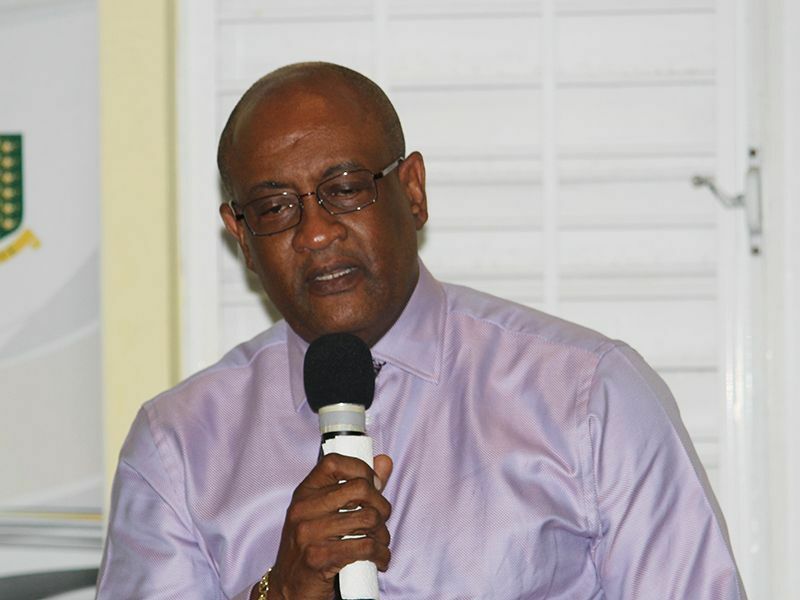 MYRON is going to be the next Premier of the BVI. You all done F-UP these Virgin Islands now you all bailing out, some of you all got to go Balsum Ghut by the hook or the crook. To address these politicians as "Honourable" is a disgrace. I guess we goin be singing i was drunk last night drunk the night before on the campaign. Living up to the name national disgraceful party. This election will show how divises the people in the British Virgin Istandard are. Just watch. The two pillars fall, the fears of all and all. Greed has been elected and pain will be reflected. Hopes and dreams are lost. The world falls into chaos. Election stands in limbo as players shift the board. Look... the stage is set again the old return to play. What was new will fade away, but a few will remain, to tell the tales ‘of what was once a greedy stain’.